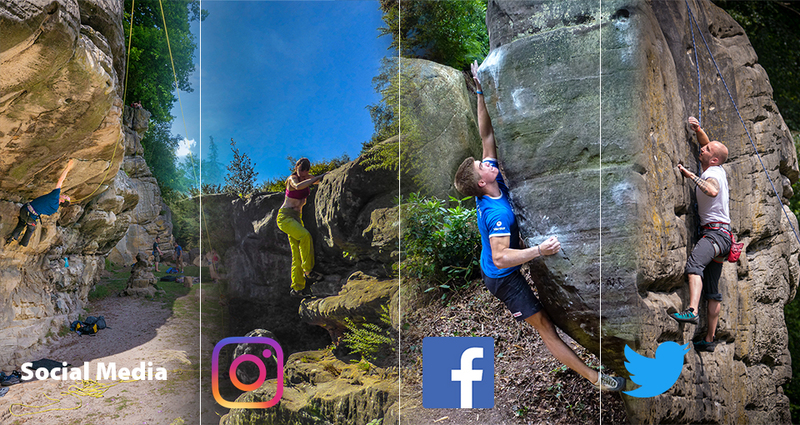 As many of you know, Southern Sandstone Climbs is, of course, occupying space on the social media platforms and this is another place to keep in touch with what's happening on Southern Sandstone. We now have a dedicated page which looks like this article which is located here. Give us a Like or a Follow. Click below to access our social spaces and use the hashtag #southernsandstoneclimbs for UK Southern Sandstone.